Philip Ward is publishing a compendium of his writings on Sandy which have appeared in magazines, album notes and online over the years, together with new material and a host of photos, some of them previously unpublished. 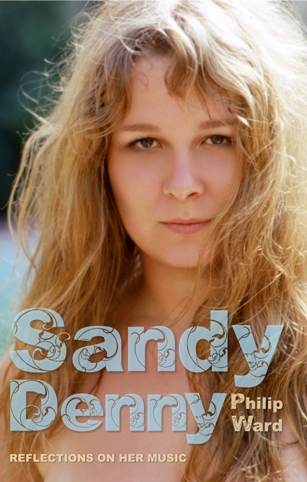 Entitled Sandy Denny: Reflections on Her Music, This will be available through all good bookshops, from Amazon UK or direct from the publisher. …In this book Philip Ward, who has made a close study of the artist, presents a series of personal ‘reflections’ on her life and work. He fills in details overlooked by her biographers, surveys recent reissues of her recordings and offers the first in-depth analysis of her songwriting. He looks back to the public events marking the thirtieth anniversary of her death and assesses her alongside some of her contemporaries. In the author’s words, the book is ‘a series of experiments’ in how to write about the subject. It concludes with a detailed essay arguing the case that, long before Amy Winehouse or Kate Bush, Denny was the first British female singer-songwriter of international stature. “Philip Ward’s analyses of Sandy’s songs are original, thorough and insightful. I learned a lot from reading them.” – Joe Boyd, record producer.